HRIS: Changing the Way FMLA is Managed! Home » HRIS: Changing the Way FMLA is Managed! » Blog » HRIS: Changing the Way FMLA is Managed! With the modern work environment going tech-wizardly, HR technology is enabling employers to manage the workforce compliance efficiently, especially the Minimum Wages Act and Family and Medical Leave Act (FMLA). Both the terms are closely related with employee satisfaction, a focus area for HR. In fact, the FMLA compliance fosters job satisfaction and engagement. One can balance the demands of the workplace with the needs of family under this act. “The Family and Medical Leave Act of 1993 (FMLA) is the United States federal law that requires covered employers to provide job-protected and unpaid leave to employees for qualified medical and family reasons.” There are certain medical and family reasons that are covered under this act. It came into effect on August 5, 1993, for the majority of employers and their employees. The objective of introducing such medical leave is to accomplish better balance in the lives of employees while accommodating the valid interest of employers. It further reduces the chances of employment discrimination on gender basis, fostering equal employment possibilities for men and women. According to FMLA, eligible employees are allowed to take unpaid leaves once in a year. They can take off from work for 12 consecutive workweeks for family and medical reasons. If an employee wants to take leave(s) under FMLA compliance, he/ she needs to fulfill following criteria. » Worked at least a year in the organization. » Worked at a location where employer has a minimum of 50 employees within 75 miles of employees’ worksite. The FMLA rules are applicable for medical requirements, like the birth of a child, care of an immediate family member (child, spouse, or parent) having a serious illness or health problem, and to recover from a recent surgery or serious health issues. Thanks to the technological advancements, HR department has new-age tools like HRIS, to manage their process and make a valuable contribution to strategic business decisions. An HR can easily access to hundreds of employees’ records, which was quite tedious with paper files. The ease, accuracy and consistency are simply unparalleled. Modern cloud-based HRIS solutions help HR to maintain entire data in single, easy to access, online location, eradicating the need for individual personnel files. HR managers can easily sync attendance records of employees working in different time-zones, multiple shifts and at multiple locations in few clicks. This helps HR to check eligibility as per the specified working hours under FMLA conduct. 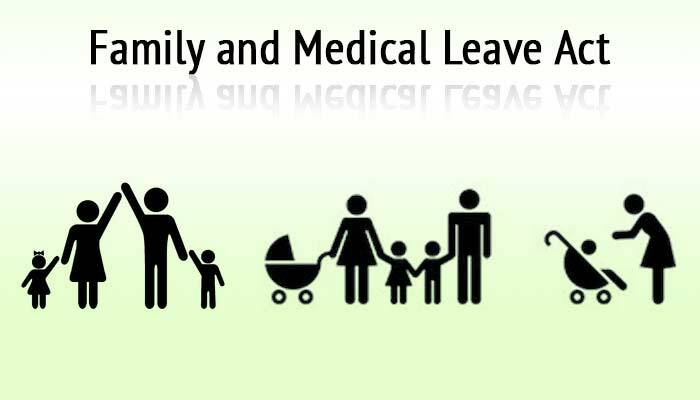 It is often a case where the employee is not aware of his eligibility for FMLA leave and he/she needs to be notified. With the help of automated tools, HR can easily notify the eligible employee in minutes. New and improved tools allow HR to communicate effectively. They can simply sort the group of employees for whom the certain information is intended and can communicate on individual and group basis. HR people can immediately check for the leave eligibility of an employee, evaluate his/her past records and approve the leaves. 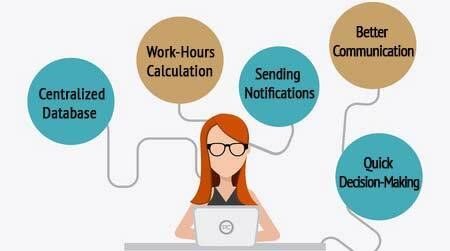 Therefore, technology can handle most HR complexities in a seamless and transparent manner. Both employees and employers are benefitted. An automated HR tool allows permitted employees to access all the policy documents issued for them. They can manage attendance, leaves and training schedules within few clicks. This empowers managers too. They can have instant access to the critical data of their team members, allowing them to make well-informed decisions, especially to handle sensitive issues covered under FMLA. Modern manager services tools have changed the way employee expectations were managed. With better and adequate functionalities integrated in the software, managers can frequently engage with their team members. More engagement implies more satisfaction, which is the biggest retention tool. Being an employer, you should not hesitate in taking a step forward towards employees’ satisfaction as this encourages a stronger employee-employer relationship. Let your employees create a better work life balance in their lives with Family and Medical Leave Act (FMLA). You won’t like to miss such an opportunity to redefine the employee-friendly work environment in your organization.